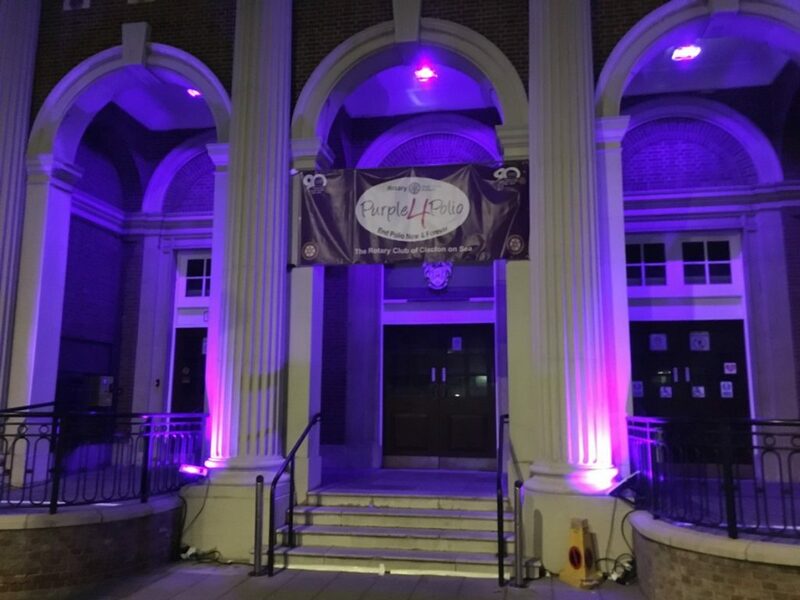 Clacton Rotary Club lit up the Town Hall to celebrate the great work Rotary has done over the past 30 years and still continues to do to eradicate Polio. As a founding partner of the Global Polio Eradication Initiative, Rotary has helped to reduced polio cases by more than 99.9 percent. It’s crucial to eliminate polio from the last three countries where it remains endemic and to keep other countries polio-free. If all eradication efforts stopped today, within 10 years, it is likely that polio could paralyse as many as 200,000 children each year.